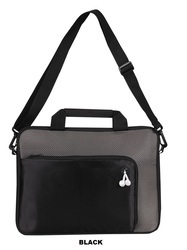 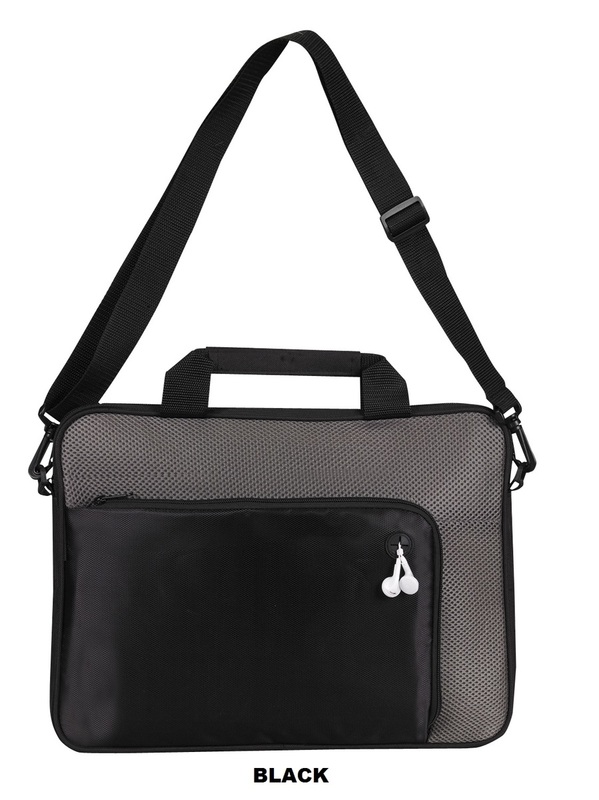 15" notebook briefcase with padded main compartment for most 15" laptops, Macs, and tablets. 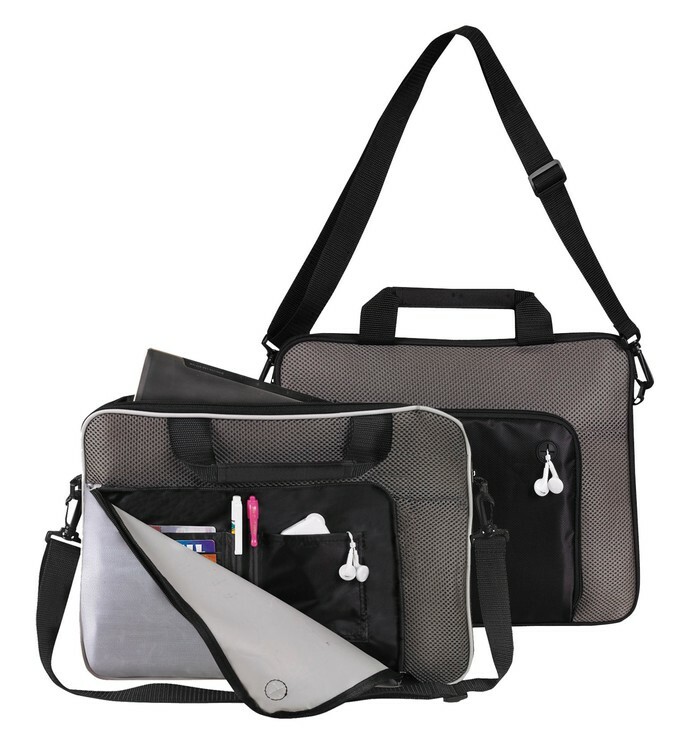 It has a front zipper pocket with organizer and earphone port. 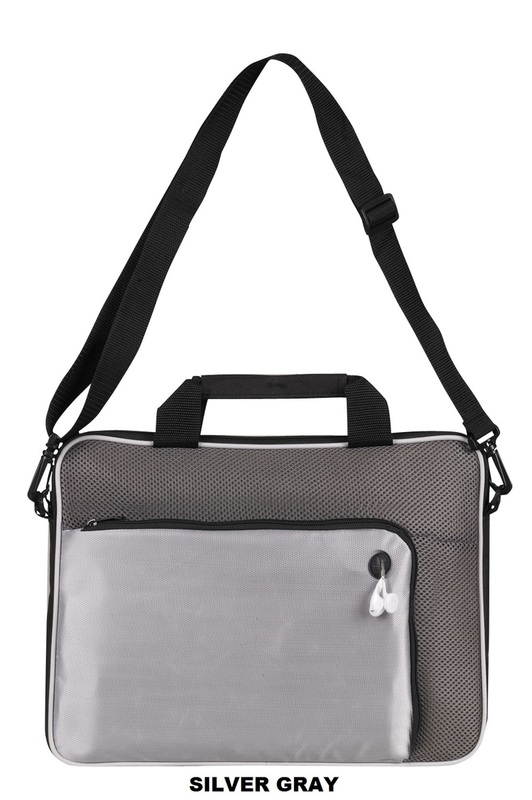 It features a detachable adjustable shoulder strap for convenient. 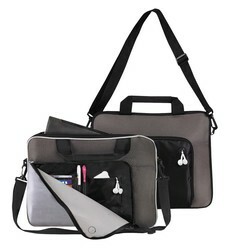 Material: 600 Denier Polyester and Metallic Doby.